Today I’m excited to share a guest post written by Laura Dunn. Laura has had some amazing internship experience and runs the Political Style blog. 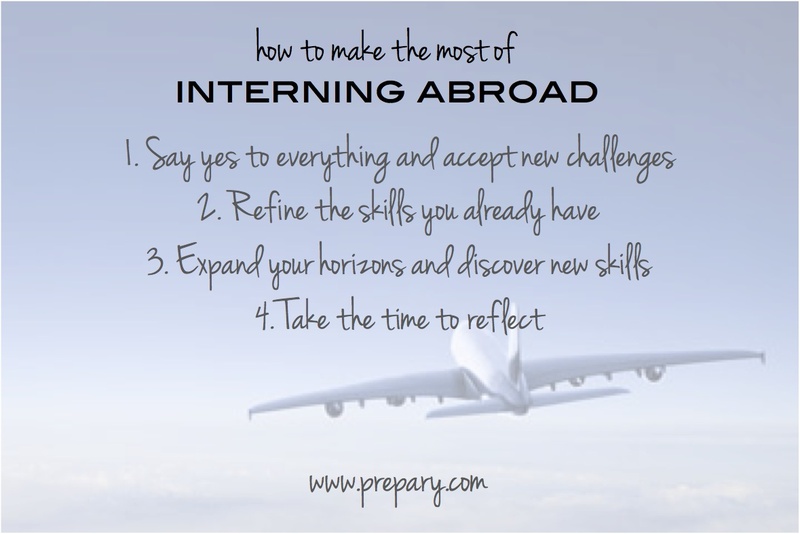 She shares with us the benefits of interning abroad and tips to make the most out of the experience. “Interning on the Hill was something that I had always wanted to do, and I was delighted when I found out that I would be interning in Congressman Patrick Kennedy’s Office in the summer of 2010. As a girl from the UK watching the excitement of US politics from over the Atlantic, I never thought that one day, my dream would become a reality. My internship lasted for three months, and during one of the hottest summers DC has experienced, I attended events on behalf of the Congressman, assisted with research, and led tours of the Capitol. These were just some of the tasks I was assigned, each one providing me with a valuable insight into the workings of the House of Representatives. So what are the benefits of interning abroad? Character building- There is no doubt that you need some grit and bravery to intern in a foreign country! Having been to the US on a regular basis since the age of 11, it felt very strange to be there without my family. So what character building experiences was I treated to? In my first week I encountered a tornado and the dilemma of where I could seek shelter as my lodgings were without electricity or access. Cue the assistance of my life-saving friend and a stay in a hotel for a week! Win! Meeting new people – During my time on the Hill I was fortunate to meet many members of the Kennedy family, members of Congress, and the Speaker of the House, Nancy Pelosi. Having the opportunity to hear some of these individuals talk in a public capacity was absolutely fabulous, but being able to talk to them personally was even greater. New cultures – Even though the UK and USA are bound by a common language, our lifestyles are extremely different! (How many people really do brunch in the UK?!) Even though I was familiar with DC, I took time each weekend to experience the sites that the city had to offer. I visited the various museums, the national monuments and attractions off the beaten track to experience what DC is all about. And how can you make the most out of the experience? Say yes to everything and accept new challenges – Whether this meant going to big events on my own or taking responsibility for ongoing projects, I said yes to everything! Refine the skills you already have – My experiences on the Hill helped me to refine the key skills I already possessed in readiness for an internship I had secured when I returned to the UK. Mailings? Nailed it. Research briefings? On top of it. Events? I’m on it. Expand your horizons and discover new skills – You may find that you are interested in new things you never dreamed of. For example, I have always been passionate about supporting women in politics, and attending an event by the Feminist Majority Foundation on my first day, led to me become more actively involved in women’s networks back in the UK. Embrace these feelings and see how you can make a difference. Take time to reflect – Being on your own in a big city sure gives you time to think about your life, what you would like to achieve and how to go about it. Use this time wisely to see which areas of your life you want to re-evaluate. For me, this included redeveloping my blog, fixing up an internship back home and seeking new writing opportunities for my university newspaper. Plan ahead – I started planning, researching and getting my resume together a full year before I set foot on the plane. Ask former interns for advice – I spoke to several individuals who had interned on the Hill for a better idea of the application process and what I could expect if successful. Don’t be afraid to cold-email; send a tweet or a message through LinkedIn. Review submission guidelines before sending – For example, do they only accept interns from home countries/states, or do they honor equal opportunity hiring? Utilize other organizations – Check out placement schemes, university career offices and summer schools that may be able to provide help and assistance. Use your network – I scored one telephone interview through a friend of a friend who had interned in the Congressman’s office a year before. Be positive – It’s likely you will experience many rejection emails, and some will simply not reply at all. Despite the set backs, success will come! Thank you so much to Laura for writing this great post! If you have any questions on interning abroad, leave us a comment and we’ll get those questions answered!